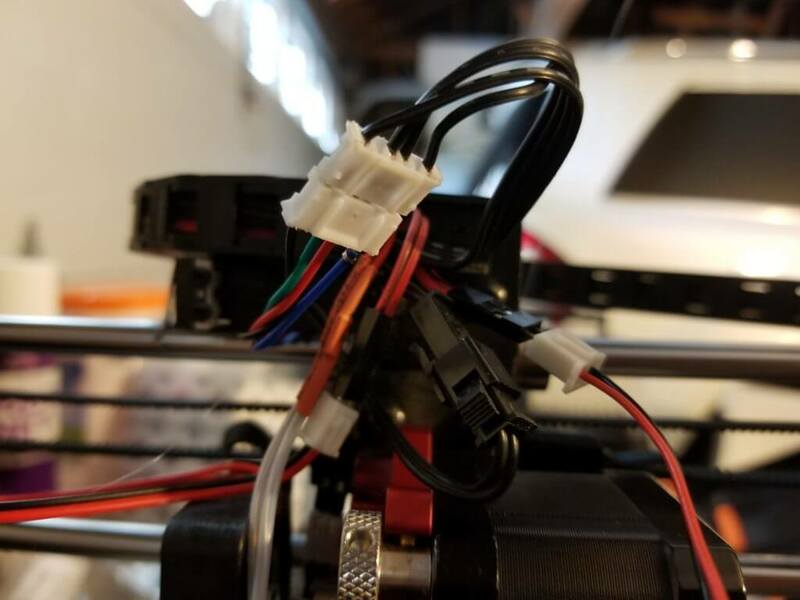 My Wanhao i3 (Monoprice Maker Select V2) has the Flexion Extruder upgrade, but I still wanted more extruder torque (trouble pushing through 0.3mm nozzle), so I changed the extruder motor to a longer 17HM15-0904S stepper motor. Why would I use a stepper motor with a step angle of 0.9 degrees as the extruder? I simply had it lying around waiting to be used for an ongoing custom printer project. There is a potentiometer next to each stepper motor MOSFET that controls the current put out to each motor. It’s just a screw. I like to press the multimeter against the screwdriver to get real-time voltage measurements as I turn the potentiometers. 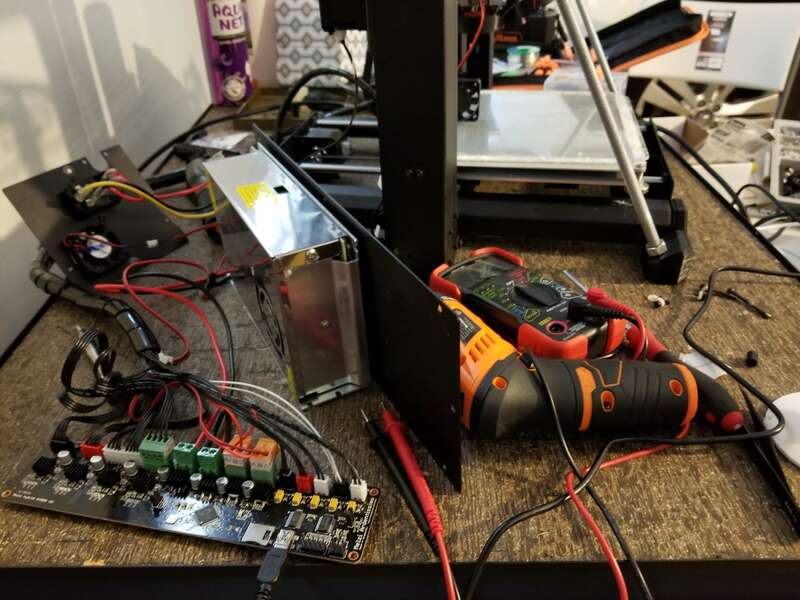 Read more about adjusting the Wanhao i3’s stepper current here, but I like to use slightly higher reference voltages for that slightly risky torque boost. 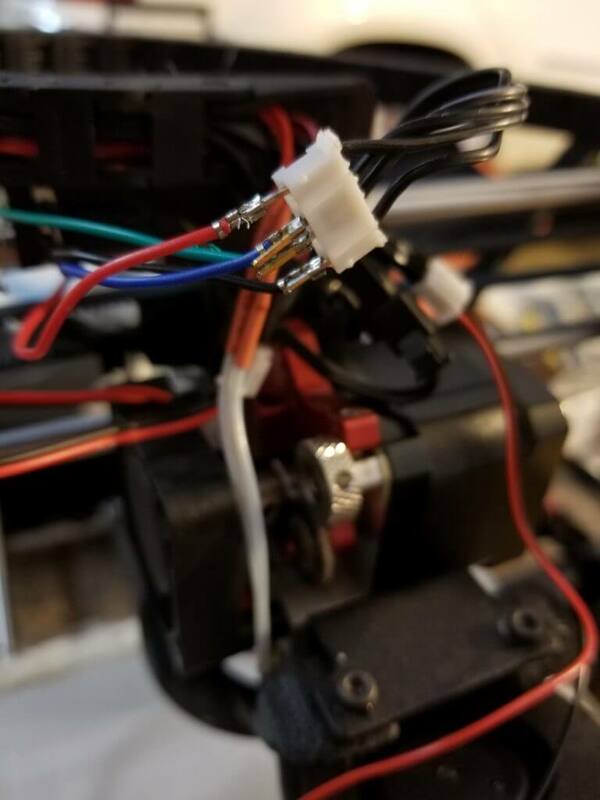 The connectors of the motor and the printer are both female, so I desoldered some pins from a broken motor controller to bridge them together. The connection turned out to be unstable, so I ended up ditching the connector casing and plugging each wire in. Finally, I doubled the step rate in the configuration menu to accommodate that 0.9° step angle. It prints fine, but the extruder still doesn’t have enough torque to naturally unjam a jammed 0.3mm nozzle. I ended up reversing this mod.